work and the organization had nothing at all to do with Japan, he soon discov ered that the colleague sitting next to him had spent three years on JET and, by complete coincidence, so had his new boss, and a friend in another department. Little did he realize that the JET coincidences were far from over. Within a few months of having returned to London, he would attend a charity karaoke event, organized by, yes you guessed it, another JET. At this lovely and slightly raucous ‘charioke’ event, he would meet me – a Kiwi girl newly arrived in London, his soon-to-be-wife and another ex-JET. Although JETs come in all shapes and sizes, and from all walks of life, what links JETs together is that they tend to be curious about the world – a curiosity they retain after coming home and which often continues to influence their career choices and lifestyles. JETs want to go to Japan to see something new and meet people different to themselves, I myself had got itchy feet after returning to New Zealand and sought out new adventures in London. Kenzo mans the MoshiMosh booth at a recent conference. The work that JETs take up after leaving Japan varies massively – I started out working in a Japanese bank, and am now studying to be a dietitian, Kenzo’s brother (also ex-JET) is an art director for a games studio, the friend who organized the ‘charioke’ event is a speech and language therapist, Kenzo’s work colleagues are public health researchers and aid workers, and other friends have become Foreign Office staff, chefs, journalists, and all sorts of other things. The main similarity between their careers being that they seem to have pursued something they are very passionate about. Perhaps the years spent in Japan afford us precious time to gain some clarity on where we want to be and what we want to do. The majority of us look back fondly on our time in Japan, but struggle to get back there as work and family ties make the long and expensive trip impractical. 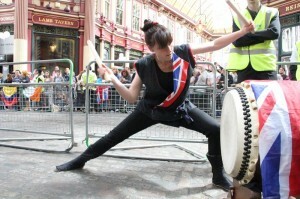 I try to retain my link to Japan by playing in a London-based taiko group called Taiko Meantime. Without regular language practice though, I initially struggled to keep my Japanese skills alive. Given how hard I worked to get them, I wasn’t prepared to give them up. For this reason, my husband and I co-founded MoshiMosh, a website to help people connect with natives of the language they are learning so that they can video chat. This is the first major entrepreneurial ventures for both of us, but so far we are enjoying the interesting experiences and challenges it brings. We will write a bit more about the experience of building a website, starting your own business, and building on from experiences in Japan, in future posts. 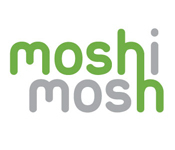 MoshiMosh is a new website offering online language exchange, with an initial focus on the Japanese and English languages. The concept of MoshiMosh is to provide people the opportunity to continue to practice their language skills with native speakers of that language, no matter where in the world they are. 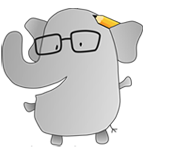 MoshiMosh has a unique system of language exchange, that is free provided you give as much time speaking your own language as you do chatting in the language you are learning. On MoshiMosh the video chat platform opens up within the website (so no need to log in to an external video provider) and there is also a time credit system where “moshis” (1 moshi = 1 minute) are exchanged, so that everyone gets a fair amount of exchange through the website.